When A Collection Agency Takes Over A Debt, Can They Add Their Own Fees And Interest? No, they cannot legal do so, unless these amounts were expressly authorized by the original agreement between you and the original creditor. That doesn’t mean that the collector won’t add such costs into its attempts to collect. But doing so is a violation of federal law. The rules that govern how a debt collector can collect on a debt are laid out in black and white by the Fair Debt Collection Practices Act (FDCPA). This federal statute spells out exactly what a collection agency can and can’t do. One of the things it is prohibited from doing is adding additional charges such as any interest, fee, charge, or expense incidental to the principal obligation. So when you look at the collection letter that the company sent you, and it provides you with a breakdown of the amount that is due, you should look very closely at whether or not such costs have been created. If they are, this will at the very least explain why a $300 debt has now turned into a $1,500 avalanche. Assuming that the original creditor did not explicitly give the collection agency permission to add such costs in its contract/agreement with them (and they almost never do), then asking you to pay for them is a violation of the FDCPA. And of course proving that the violation has occurred is as simply as providing your attorney with a copy of the letter you received. Most of these kinds of violations carry a fine of $1,000, which must be paid to you by the debt collector. The other nice component of this law is that the collection agency must also pay your attorney fees. This means that when you hire a FDCPA attorney to go after the collectors, you don’t have to pay anything up front. There are a number of other things that the collectors do that are clear violations of the law (that most people do not know about either), such as calling you on your cell phone (the collection agencies are only supposed to contact you on your landline), threatening to sue, inform someone of the debt, or report the debt to the credit bureau (if the collector threatens, or even intimates, that it is going to do such a thing, it is a violation), and not providing you with verification of the debt within 30 days of you requesting for such verification (the law states clearly that you have this right, so that you can check its validity, and dispute it if it is not your debt). Very frequently (and I mean FREQUENTLY), the collection agencies do not even come close to following these rules. In fact, they more often than not violate the law in their attempts to collect. Why? Because the vast majority of people have no idea that such laws exist, and they are betting that you will not look into whether or not you have any rights in this area. Of course, it is also possible to file a St. Louis Chapter 7 bankruptcy or a St. Louis Chapter 13 bankruptcy as well in order to get rid of the rest of your unsecured debt as well (such as credit cards, medical bills, payday loans, etc.) 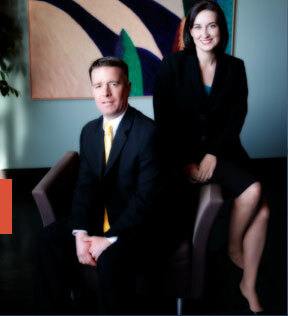 The affordable St. Louis bankruptcy lawyers at Brinkman & Alter, LLC have been making sure that creditors play by the rules for years. Our goal is to hold the collection agencies responsible for their conduct, and make them pay when they violate your rights. All phone conversations and office consultations are free of charge.